Never Forget Our Fallen Heroes Metal Sign LETH083 - California Car Cover Co. 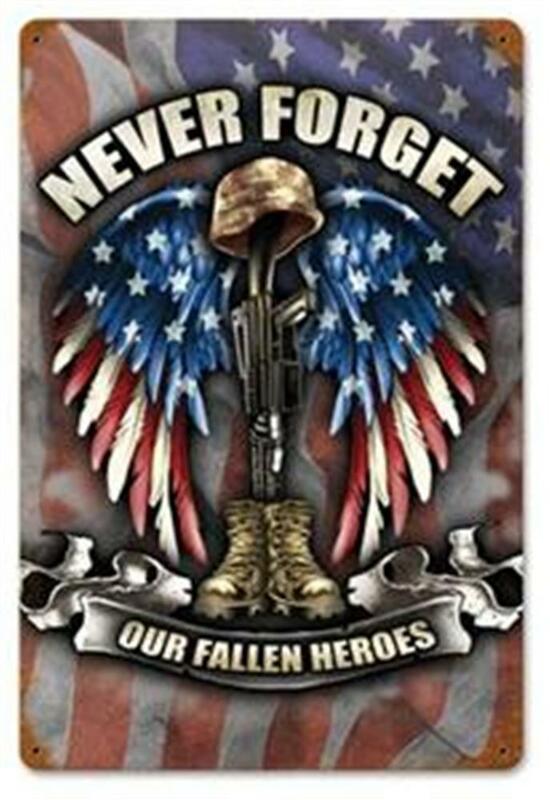 The Never Forget Our Fallen Heroes Metal Sign has powder coated graphics and pre-drilled mounting holes for easy hanging. Measures 12" x 18"